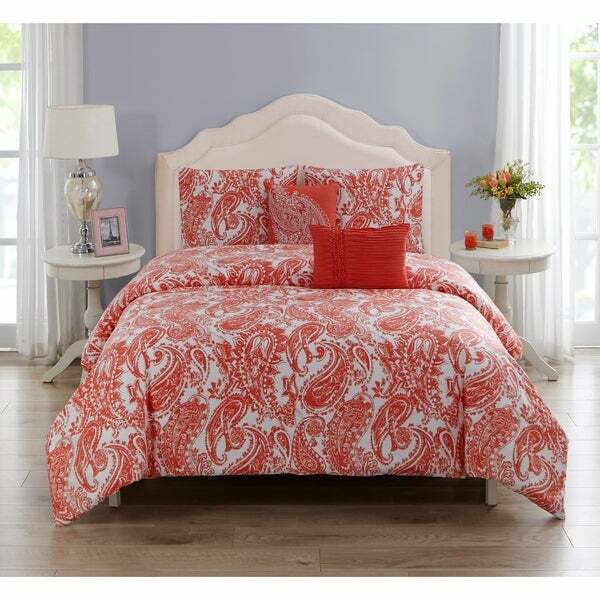 Our Renee Comforter Set repurposes the traditional paisley pattern by putting it in a fun coral colorway, which is sure to brighten any bedroom. Made with 100% printed cotton, it is soft and comfortable. Matching shams and decorative pillows are included. 1 Quilt 92" x 96"
1 Square Pillow 16" x 16"
1 Boudoir Pillow 12" x 18"
1 Quilt 106" x 96"
Dimensions 92.0 In. X 96.0 In. X 0.3 In.